If you're new here, let me introduce myself. 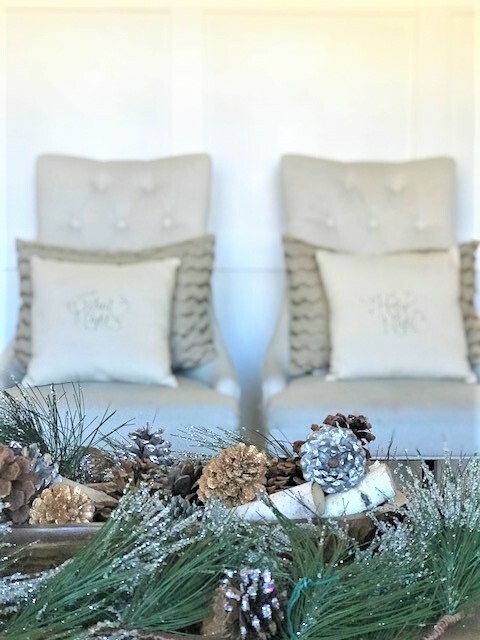 I'm Wendy Hyde - an interior designer and lifestyle blogger - for years my blog was known as The Shabby Nest, but I've rebranded this year and I'm really loving the shiny new look! 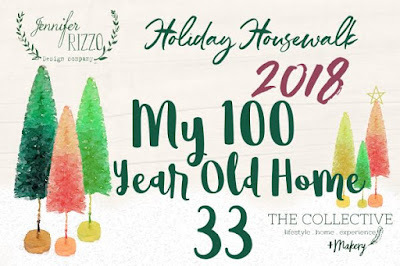 I'm so excited to have you join me for this year's Holiday Housewalk hosted by my dear friend Jen at Jennifer Rizzo. 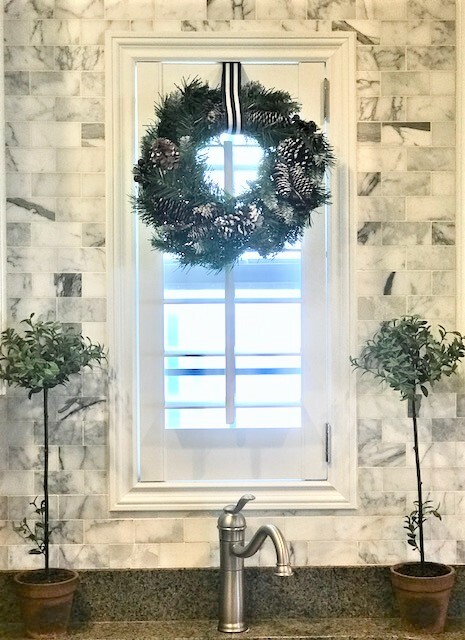 I have been participating in this Holiday House Tour since Jen first started it in 2008 and it's something that I look forward to every year! If you just joined me from My100 Year Old Home, wonderful! If you haven't been to visit Leslie yet, you can see her lovely house here. 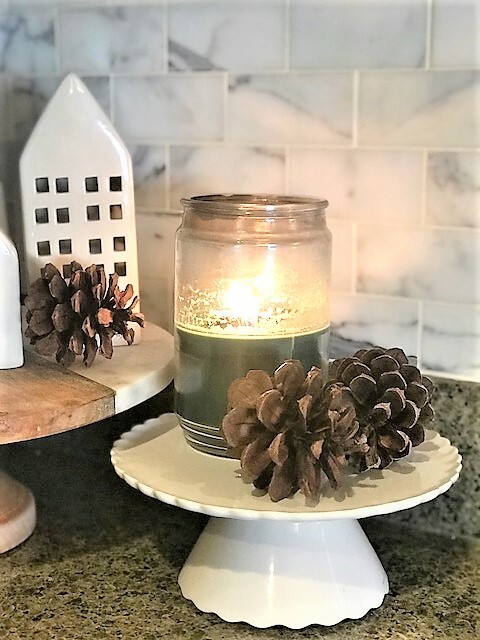 You can also start the tour from the beginning by visiting Jen's blog here. 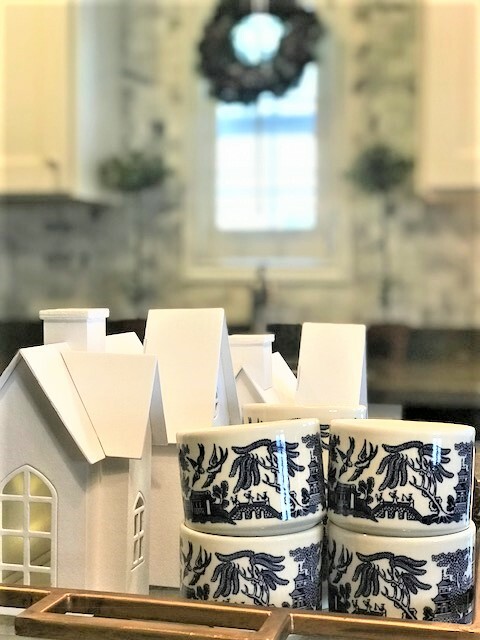 This is Hydeaway Cottage. Where I live with my four amazing kiddos. 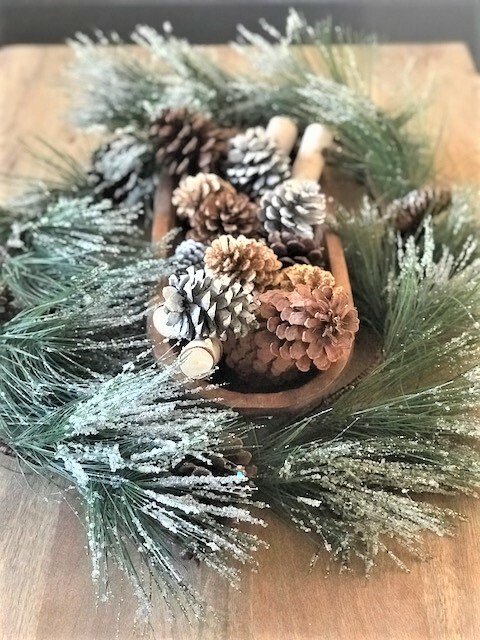 And this is our fifth Christmas in our cozy little home. We absolutely love it here, and I hope that you will too. 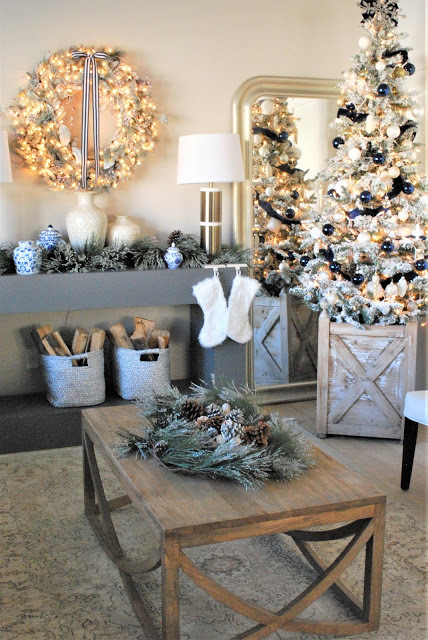 Chinoiserie is my favorite, and the addition of the ginger jars to my console table/mantle this season is unexpected and elegant. 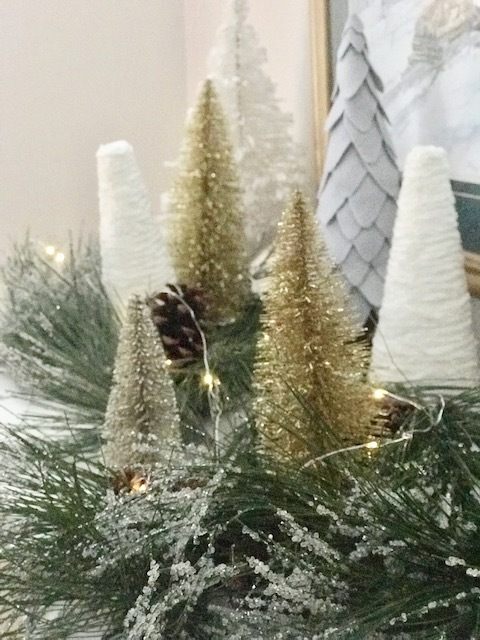 I have been collecting miniature Christmas trees - especially bottle brush trees for the past few years. I love this little collection on the bookcase in my stair landing. 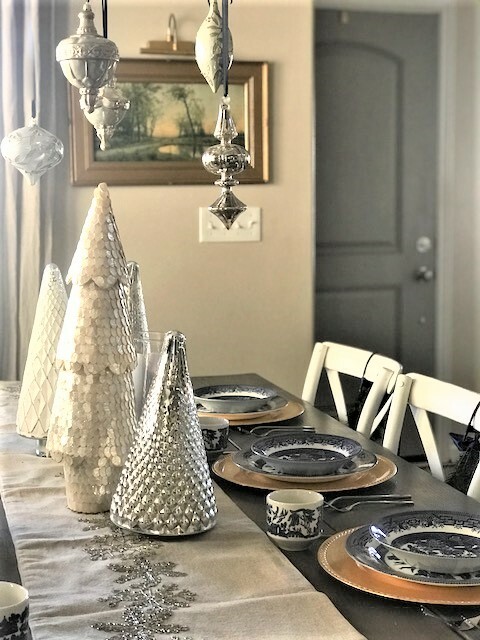 My dining room is my favorite room this year. 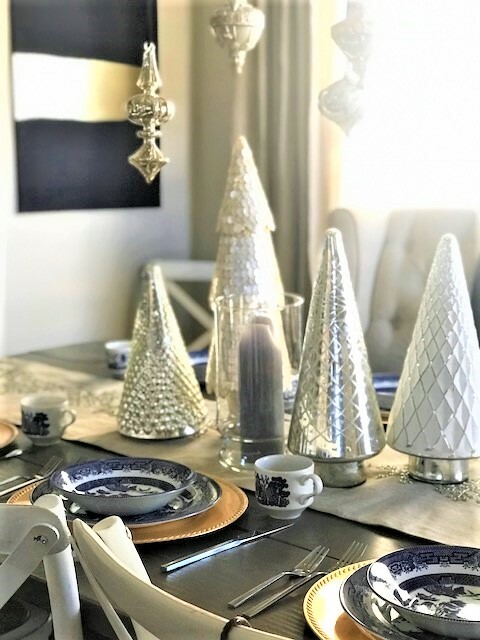 The vintage Blue Willow china is from my mother and makes for an elegant Christmas table. I recreated the navy and gold artwork from a piece I saw in a catalog earlier this year. I knew it would be perfect for what I had in mind for Christmas. 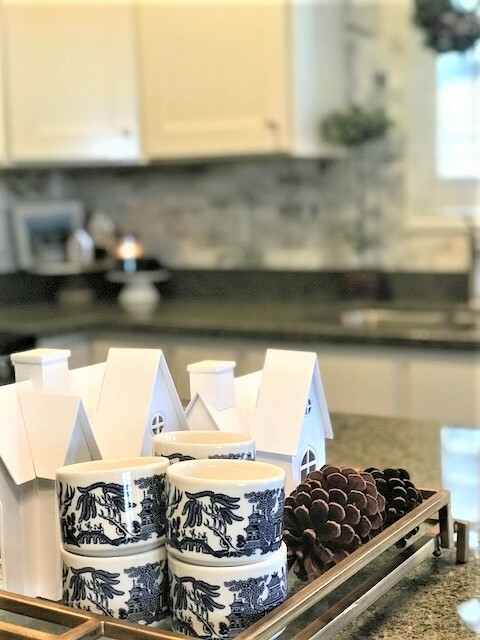 A cute little hot chocolate station is ready and waiting on our kitchen island. 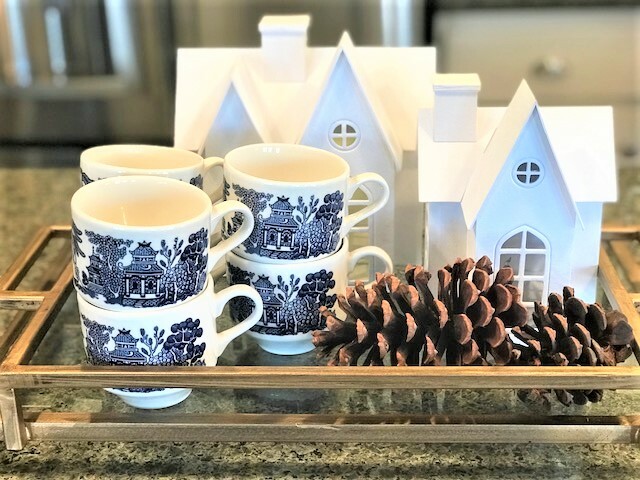 I hope you enjoyed this tour of Hydeaway Cottage in all of her Christmas finery! 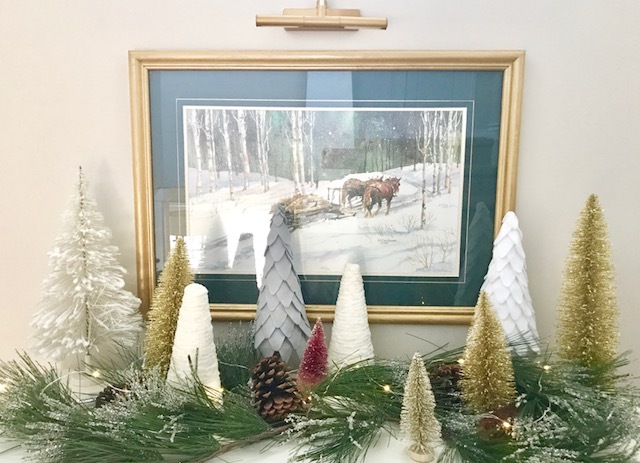 If you'd like to see a few of the cottage's previous Christmas looks you can check out previous tours here (2015), here (2016) and here (2017). 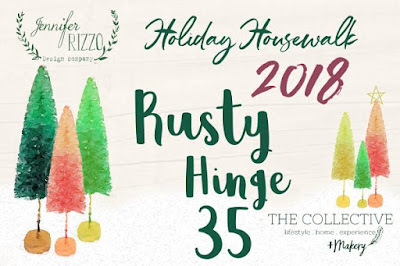 The next stop on the tour is Rusty Hinge. Enjoy! fun and behind the scenes craziness.